In 2017 some £30m was lost to ID theft, with a record high number of cases reported that year, according to fraud prevention service Cifas. Your personal information can help criminals commit fraud, so securely destroying sensitive documents and data before they get into the wrong hands is as important as ever. Instead of keeping a stack of bank statements in a drawer, consider scanning them using an all-in-one printer and then storing the digital copies on a hard drive or secure cloud storage service. You can then destroy the originals securely using a Best Buy shredder. Read on to see the latest models to have gone through our tough tests. 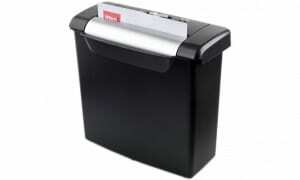 Which paper shredder is best for me? 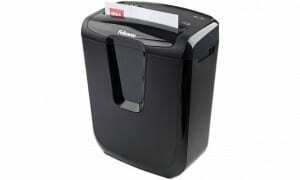 The type of paper shredder you choose will affect how securely your information is destroyed. Strip-cut, cross-cut and micro-cut shredders all work in different ways, and we’ve tested new models of each. Strip-cut, also known as ribbon-cut, shredders were once the most common type. As the name suggests they turn paper into narrow, thin strips. Although it would require patience, it’s possible to reassemble the strips into legible documents, meaning security could be better than what they provide. We don’t test many strip-cut shredders any more, but we have one in our latest batch. Log in or join Which? to see if it makes the Best Buy grade. The vast majority of shredders we test are cross-cut models. Sometimes referred to as diamond-cut, these shredders offer greater security compared with strip-cut models. This is because cross-cut shredders reduce the paper to small, confetti-style pieces that would be much harder to reassemble. Cross-cut shredders can offer a good level of security, but we do find poor-quality models. Below are the six new cross-cut shredders in our latest test batch. The most secure type of shredder is micro-cut. They turn documents into even smaller confetti bits than cross-cut, and it would be very hard to put the pieces back together. The good news is that you don’t have to spend a fortune to get a top-quality micro-cut shredder, as we have Best Buys for under £50. Not all micro-cut shredders are worth buying, however. See the two new micro-cut shredders in our latest batch, or browse all our tested micro-cut shredders to date. Find out more about strip-cut vs cross-cut vs micro-cut shredders in our guide on how to buy the best shredder. Generally, you should consider shredding anything that carries your name, contact details or financial information. Bank statements, utility bills, receipts and legal documents should all be securely destroyed once no longer needed. 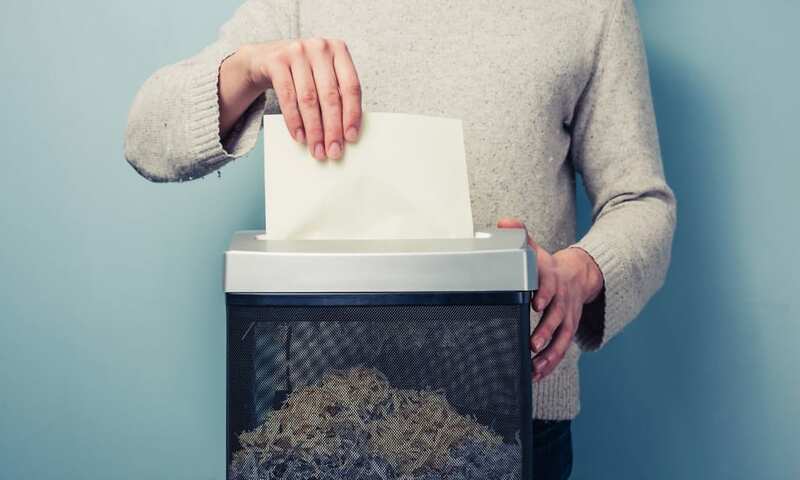 You should also consider shredding boarding passes and travel itineraries, and anything that comes through the post that bears your personal information, such as junk mail and pre-approved credit applications. You might consider keeping documents such as tax returns and receipts, paperwork relating to loans, mortgages or insurance, medical records and bank statements for a period of time, but in most cases these could be digitised and then the physical copies shredded. Certain physical documents have greater importance, such as a birth certificate, will or marriage licence, and so potentially they should not be shredded. 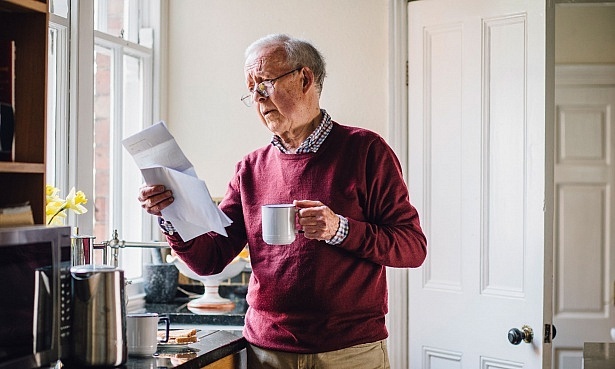 Instead, the physical document should be stored in a secure place with access available for anyone who needs it, for example the executor of a will. If in doubt, seek legal advice as to what documents you need to store and how. 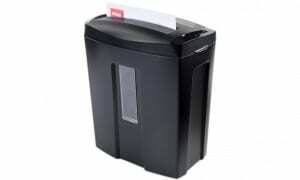 Browse more than 50 expertly tested paper shredder reviews to find the perfect model for your needs.